Of course an Aussie won the Tour de France while I am on this sporting ban! The pessimist in me probably didn’t allow myself to consider that there would actually be positive things happening for me, personally, in the sporting arena during my absence from sport. And by ‘me, personally’, I mean ‘vicariously through others who are exceedingly more talented than I.’ I mean, my Bombers weren’t going to do much, my Lakers were gone, sure I’d miss the Man United games, but that’s about it … right? But a look back earlier in the year could have and should have seen this coming. This was when I decided to join a friend in the ‘February Fast’, abstaining from drinking alcohol for the entire month and in the process raising money to help offset the impact of drugs and alcohol on young people. ‘I don’t drink that much; won’t be a problem,’ was the thought process had I actually have thought about it before I agreed to do it. Which of course I didn’t. It’s a really hot month; you’ll get thirsty! You’ll go to a great wedding with quality people with plenty of great beers and drink water and juice all night. You will go to a great mate’s birthday dinner where people either side of you at the table will drink your favourite spirit, before the restaurant hands out free alcohol at the end of the night. True story. Your dog will get out of its backyard on a Friday and be picked up in your local street by the pound. You will be fined well over $200 for this. You will want a drink at the end of this process. You will go out for Valentine’s Day, where again, the restaurant will hand out free alcohol. Your wife, who is also ‘doing Feb Fast’, will be very pleased with this. It is a really hot month. And you will get thirsty. An historically good NBA Finals series, with the Dallas Mavericks beating the arrogant, overrated, immensely talented and egotistical Miami Heat. Lebron, I’m talking to you. My Bombers beating the previously unbeaten Geelong Cats in an apparently epic contest. A classic Wimbledon Final with Djokovic claiming the number 1 world ranking from Nadal; the potential passing of the torch. 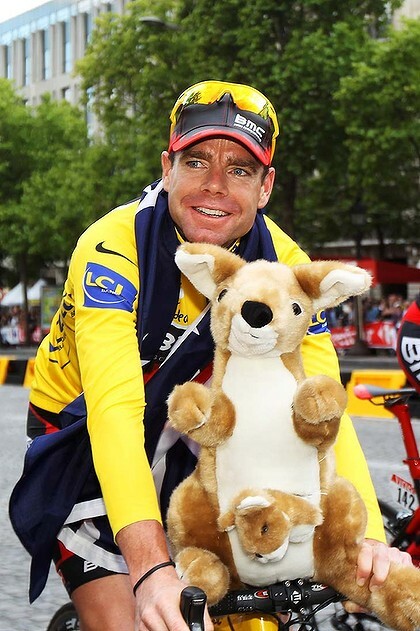 I should, therefore, have been completely unsurprised when Cadel Evans started heating up in the Tour de France. In the past, I would watch the occasional Tour leg when things were getting to the serious end of the race, or the time trial, or when characters like Lance were part and parcel of the menu. But, as in most cases, you throw an Australian into the mix, I’m all ears. Cadel’s last 3 rides were apparently off the charts. Down and out in the third last leg; a couple of minutes behind, literally off his bike. Almost 2 minutes behind, in third place, heading into the second last leg – a time trial during which he made up around 3 minutes and became a sporting legend for life in the process. That’s not hyperbole. I’m not a cycling fan, but this is up there with Bradman, Elliott, Freeman and Outback Jack’s wrestling career in the WWF. He made history by winning this Tour. The first Australian ever to do so. The oldest cyclist to win it the first time. I don’t begrudge his win, the amount of talk over it, or the fact that I missed all of it. A bit of pre-planning might have allowed for the odd ‘outlier’, the unexpected significant sporting event that I would have to miss. That’s part of this journey. At this end it’s a bit of a wry smile and a small amount of wondering, ‘What else! ?’ before we’re done. Interesting to reflect on your 3 day rule. The SBS website had the TDF info off in about 3 days in preparation for the next tour. I tried to find the final standings and struggled because it had all been removed. It’s a short time at the top in this modern (or postmodern) world of technology. Gone within 3 days? The man’s a sporting icon in this country! That surprises me for an Aussie’s success, though it kind of doesn’t. You left out the 2011 AMA Supercross Season, the best ever. 4 riders vying for the championship going into the round 16 final in Las Vegas, Chad Reed (Aus top paid sportsman) needing to come first and Ryan Villipoto 3rd to win his second championship. Reed finished first, Villipoto second….unreal season. Whats Supercross I hear you say……shame on you! Thats was in Motocross, I was talking about Supercross. Doesn’t anybody understand me around here??? ?